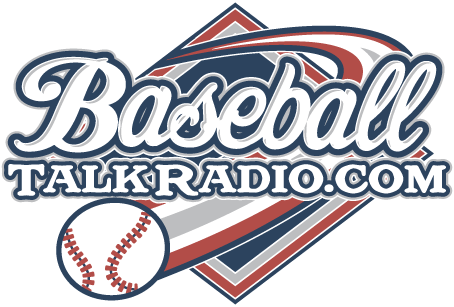 The latest edition of Phillies Talk has us wondering where the Phillies went wrong this year, and what they can do to improve in 2014. The show records year round, so check it out and listen along all year. We've love to have you download the shows and be a part of it. Cliff Lee goes out and strikes out 13 batters and the Phillies offense is the same as it's been all year, terrible. That's it, it's about all we should take as fans of this team, forget about all the talk of 'next year' and see you in 2014, this is getting absurd now. This team is in need of fundamental and major changes and nothing all of the publicity spinners say is going to make that fact go away with this now horrible Phillies team. The Phils management brings up Ryan Howard for the last few games and has him sit on the bench to watch the games. What is this? Is it supposed to get us excited about the Phillies by seeing Ryan Howard? Howard should have been healed a long time ago with his injuries that he's getting all to used to being on the bench or some other location like Florida spending time rehabbing. If he's going to spend the rest of his career rehabbing we should trade him for free to a team like Mariners or somewhere like that far from Philly. 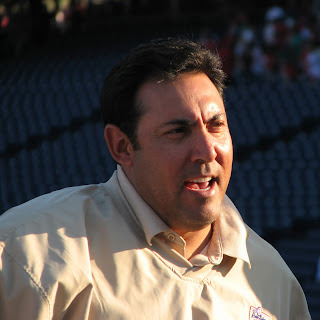 The facts are that the Phillies are the most disappointing team in baseball for two years straight now, and the team is a total failure that should really be getting a major overhaul starting with the GM of the Phillies, Ruben Amaro Jr., who has sat idly by as this team has degenerated into the state that it's in today. A team with a payroll like the Phillies have had in the past two seasons is a big disgrace with the kind of play that we've been seeing on the field. There is no more explanations that can describe it, except it is just plain bad. Start with Amaro, and clean house for the Phillies and begin again. GQ Magazine lists their 20 Worst Sports Franchises of All Time - Did they miss Atlanta? GQ has revealed its list of “The 20 Worst Sports Franchises of All Time” in its October 2013 issue, on newsstands now. For the list, GQ considered any and all professional sports franchises—currently active or not—and identifies the top twenty most inventively awful, disappointing, frustrating, and mismanaged teams in sports history. From the disgraceful Los Angeles Clippers (#4) to the self-destructive New York Jets (#6) to the historically helpless Philadelphia Phillies (#14), the teams on GQ’s list are ones that have caused or continue to cause their fans the most agony. It could have been worse news for Philadelphia, but I think the Phillies are kind of coming off of those 'bad' lists... let's not forget that game in Atlanta that the fans totally disgraced themselves and their city following a single 'bad call'. 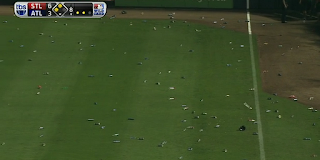 An infield fly was called in the first photo below in Atlanta and then the trash reigned down on the field in something that's never even been done on a Phillies field that I can remember. Maybe the Braves franchise got a pass for this one. One of the worst calls of the season last night in Miami as shown on the FightinPhillies 'super slow mo' gif above had a lot of people really wanting instant replay. It's calls like this that make you wonder why this wasn't brought in years ago. 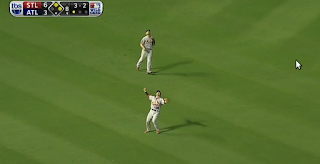 In a separate call in the same half-inning, the Phillies are redeemed by another bad call, but one that Phillies fans didn't really complain all about, it was that 'out' nod by CB Bucknor at first base that said it all. That's some of the human drama that may be missing next year as some instant replay is fazed in, imagine a 4 hour game with instant replays, that could happen as it takes time for the umps to convene and check the videos if they are going to do it like they presently do.Instant replay will definitely take a lot of the 'human element' from this game. "I don't know what the future is going to hold, but I want to go somewhere that wants me and somewhere that is going to have a shot." "Like I've always told you guys, I hope that's here. Worst case scenario, I start throwing and things aren't happening the way they're supposed to. Then I'm going to be honest with whoever's interested and make a decision from there." Those were the words from Roy Halladay a day after he had to be pulled from the Marlins vs Phillies game in the first inning in Miami. His doctor told him that he needed rest, about 3 weeks rest to be exact and now that's what Halladay will be getting as he is truly finished for the season. The Phillies hold the keys to a 4th year option to Halladay at another $20M, he just collected a cool $60M from the Phillies for his pitching services for 2011 though 2013. Would resigning Halladay make sense for the Phillies? Ruben Amaro Jr. seems to think that keeping Halladay is a priority. A seasoned veteran that has brought a lot of great things to Philadelphia, Halladay is also a lock for a spot in the Hall of Fame as well and Hall of Fame type pitchers aren't that easy to find, so the Phillies may not be totally wrong in keeping Halladay. Carlos Ruiz is another player that has played well enough for the Phillies to consider giving him another contract. Ruiz is coming off of his 4 year contract that paid him $13.35M. You have to figure Chooch to look for at least $15M for a 2 year deal that will probably take him to the end of his career. Keeping Chooch shouldn't even be talked about, it should have just been done. A catcher is supposed to be carrying a team, and at times that is what Carlos has done for the Phillies through all of the trouble with Ryan Howard being out so much in the past couple years. The Phillies made it official today before the game with the Mets, Ryne Sandberg will be the manager of the Phillies officially now. Talk about the Phillies looking at other candidates after the season are now moot, and the Phillies have locked up Ryne, who is a Hall of Famer, for 3 years with a club option for a 4th year. Now Ryne can go ahead and plan out the people that will be on his staff. Larry Bowa has been one of the people that rumor has it may be in line for a position of the coaching staff. The existing coaching staff will probably be replaced, as that is what normally occurs when a team changes managers. Time will tell as the talk about next year has totally replaced what we're seeing on the field now, and it's a good thing because the Phillies aren't playing too good in this series with the Mets and they look to Cliff Lee to go out and salvage this series this afternoon on the last home game of 2013 for the Phillies. 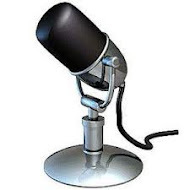 Check out the latest Phillies Talk Podcast on Stitcher Radio, the show is the independent internet radio show that follows the Phillies baseball team. This edition I am joined by my good friend from New York, Gary Mac, as we talk about the Phillies and the Mets with the final home weekend series that is starting up tonight at CBP in South Philly. Gary and I will talk about the future of both the Phillies and the Mets with some interesting conversation about what direction each team might be going. The Mets star Matt Harvey was a guest on the Dan Patrick show yesterday. It was a radio interview that seemed to be going along just fine until all of a sudden Harvey seemed to fall to pieces and tell Patrick that he was finished talking about his arm and he was only wanting to pitch a promotion by Qualcomm. It was a really awkward moment that came off sounding really strange. Harvey of course is the Mets future superstar who recently found out he has a torn UCL, Harvey was the starting pitcher in the 2013 All-Star Game in New York, and he is 24 years old, and he sounded like someone who is only 24 yesterday on the radio. Perhaps he should pick and choose how he handles endorsing or promoting products better though, on a national radio show, this didn't sound too good. The Phillies welcome in the Mets on Friday night for the final three games at home in Philly. Cole Hamels will be on the mound on Friday and of course Sunday is Fan Appreciation Day. This was Doc last night in Philadelphia - thanks for the memories! All I could think about heading to the ballpark tonight was that I couldn't believe this could be the end for Doc Halladay and his Phillies home career. It appears that this is exactly what it was though. 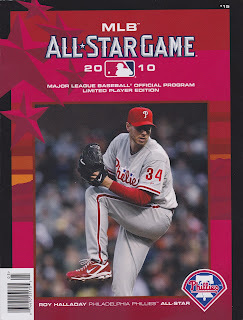 The memories came on too fast, the Perfect Game in Miami against these Marlins on May 29th 2010, the first Perfect Game for the Phillies since Jim Bunning did it in 1964, well before a lot of us, including this writer, were even born. We got to see greatness that night, it was only the 20th time that a Perfect Game was thrown and happened in Major League history. Halladay wasn't done either in 2010, for good measure he tossed a no-hitter against the Cincinnati Reds in Game 1 of the NLDS. It was only the second time in all of baseball history that this was done. Roy Halladay wanted to come to Philadelphia to win, the get a championship and bring it home once more for the Philadelphia fans, and of course to call himself a World Series Champion. That particular dream may have escaped Halladay in Philadelphia, if he really isn't coming back here in 2014. Tonight was probably his last start ever at home in Philly, if it is true that he won't be back here for another chance. Halladay is a champion though, he's a Hall of Famer, for sure. A winner, a battler, and a great baseball player. He could have mailed in the last few months and even sat out, but he's not like that, he's going to give you his all. That's what the fans in Philly really love about him. I watched after Roy's night was done on the mound tonight, he left the game with a 6-1 lead. Right after he got the final out, which was a pop-up, many fans left their seats as well, they were there to see one of the best pitchers that the game has known here in Philly, he may be gone and they were gone. Losing Roy Halladay now for the Phillies has really hurt, it's left a mark. The great years really may be over. All of the winning, the sellouts and the cheering happy crowds. There's no crying in baseball, although my eyes are full of water, I just can't let the tears fall. Should the Phillies bring back Roy for 2014? Check out MLB.com's Todd Zolecki in this article who seems to think that answer could be yes. Cliff Lee has been my favorite Phillies pitcher for the past couple years. He was magnificent in the 2009 World Series, and has done a lot for the Phillies team since Ruben Amaro Jr. re-signed him after sending him out to the god forsaken Seattle Mariners, in what was the first ever weird move that Ruben has made with this Phillies team under his watch as GM. Lee is a 12 year veteran in 2013, he's risen up to one of the best paid pitcher's in baseball today at $25M this year. In his only other start this year against the Marlins prior to tonight, Lee owned them giving up only 3 H on 9 IP and struck out 5 for an .056 ERA against them. 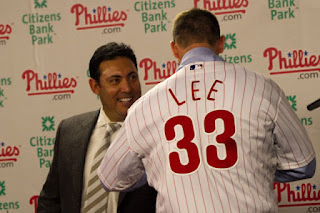 Did I mention that Cliff Lee had 4 RBI last night with 3 H? He is on top of his game for sure. The Phils pummelled the Marlins 12-2 in game 1 of the series with the Miami Marlins. In Lee's starts prior to tonight, he's stuck out 9 batters and 10 batters respectively and 14 more batters on Monday night. That's 36 strikeouts in his last 3 games. To put it bluntly, Cliff Lee is dealing. The Phillies offense came to life for him tonight and Lee earned his 14th win of the year. This writer thinks he could have been over 20 wins this year, had the Phillies offense fired on all cylinders. If the Phillies can just solve the problems that have plagued them prior to the starts of the 2012 and 2013 seasons, they would be able to contend in 2014. The dream of this isn't completely over. 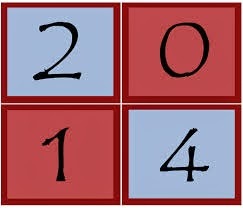 There is an offseason and we will have some interesting players to chose from in the offseason to solve the puzzle. One of the players that Ruben Amaro Jr. was inquiring about many times has been one of the Miami Marlins best players, Giancarlo Stanton. Miami has been reluctant to deal him. We'll see if this changes anytime soon, Stanton would be awesome to have in the Phillies lineup and would inspire many to think that the Phillies have made a great acquisition to this team. Unfortunately, the Marlins are dead last in every category in the MLB that ESPN uses to measure the offense. Runs, Batting Average, On Base Percentage, and Slugging Percentage, the Marlins are 30th in every category. Stanton can only benefit by joining a team that will compliment him and help him achieve more. Charlie Manuel is long gone, and the Phillies are still playing baseball the same way that they have all year. Yes, Ryne Sandberg is getting a chance to skipper this team, but like Manuel, he's not a miracle worker. On any given night, this Phillies team slips back to that bad team that we've seen a lot of already. The Phils lost the series with Washington yesterday, getting beat 11-2 in the process. What does this all add up to? The remaining players on the team were all assembled by Ruben Amaro Jr., and he should start to accept a major part of why the Phillies aren't doing too well, and haven't now for the past two seasons. The Phillies organization were spending a lot of money and they still are. Not that spending money can equate to the quality you get on the field, but a lot of positions on this team haven't been filled by players that are up to the task of bringing a playoff caliber team to the baseball diamond. The Phillies bullpen was terrible all year, it is staffed primarily of minor league call up pitchers, and they haven't done the job for the most part. Nothing was done to improve this at the All-Star break, and the outfield has been a non-stop source of players that aren't playing at a particular position too much and getting bad results in doing so. Players that made an impact in baseball have been traded, players that may should have been traded were not, and all of this is adding up to the Phillies not coming close to the postseason in two years has to add up to failure for Ruben Amaro Jr. who inherited a Cadillac of a team a few years ago, and now is running it into the ground. It seems so long ago that Werth was on the Phillies, doesn't it? The Washington Nationals are fighting for a chance to be one of the teams that make it into the playoffs this year. In the beginning of the season, the Nats were favorites to win the division in the NL East, but things didn't go their way and that didn't happen. Just for the record, the Phillies were officially mathematically eliminated from the playoffs on Saturday, it's something we knew was going to happen and with the math adding up against them, it now is impossible for the team to make any playoff appearance for the second year in a row. The Phillies are able to play spoiler and last night, they did just that. Behind a strong appearance from Cole Hamels, the Phillies were able to hold on to a 5-4 lead after being up on the Nationals by a 5-1 score until the bottom of the 7th inning when the Nationals scored 3 runs and threatened to break the game open in their favor. The Nats could only get within 1 run and the Phillies bullpen was able to close the door on the Nats, who were red hot in winning their last 7 games straight. For the Phillies, they won this game but they are still struggling mightily in producing runs, the team is 28th overall in the MLB with the Phil's OBP (On Base Percentage) being .306 which is 26th in the MLB, that of course has been the biggest problem with Phillies this season. The Nats only have a 2 percent chance to make the playoffs, for them they just have to keep on winning. Jayson Werth has the team high batting average high at .321 for the season, Desmond, Span, and Zimmerman are all right behind him all at .280 or better. That is the kind of batting you need to win ballgames. Consider the Phillies top hitters, Chase Utley leads the Phillies with .276 in 427 AB, Chooch has a slightly higher average at .292 but he only has 277 AB on the season. It gets worse from there, as the Phillies have been moving people around in so many different positions this year, it's hard to say who plays where, even now. The Phils will face a Nationals pitcher tonight that has the most wins in the NL at the moment, which is 17. Jordan Zimmermann is leading the NL and he's going against a pitcher for the Phillies that desperately needs to show some positive things for himself, Tyler Cloyd. Cliff Lee notched his 13th win last night for the Phillies, on a solemn day that a lot of us still remember very vividly. That of course being September 11th, and the anniversary of the attack on the World Trade Center and America. Hard to believe 12 years have passed since that day, and it is something that should never be forgotten. Baseball grinded to a halt some 12 years ago for a week while flights were grounded and a lot of people wondered 'what was coming next.' No one was thinking about baseball right after the attacks happened, but it was baseball that helped a lot of us get back to some sort of normalcy after the terrible events that took place. I remember going up to New York to see a game on an anniversary of September 11th a few years ago, it was very moving and still very fresh in people's minds, especially a lot of people in the New York City area, which was devastated with losing thousands of people to the terrorist plot. Tonight it's Roy Halladay in what could be one of his last home starts in a Phillies uniform. Hard to believe that Halladay's time may already be up with the Phillies, the team does have a $20M option that they could pick up, but it appears unlikely that they will do that especially with Halladay's age and the injury he is coming off of.